Mars On the Wheel Of Elections Results On 23rd May 2019 What It Foretells ? This is with reference to my Article on the Start of the Elections on the 11th April 2019 ” Mars On the Wheel For 2019 Polls: What It Foretells ? Astrologer Anil Aggarwala” https://www.astrodocanil.com/2019/03/mars-on-the-whee…r-anil-aggarwala/ ‎ dated 13th March 2019. At 08-00 hrs Hora Of Mars. Day Lord Jupiter is placed in the yama of Taurus and the Ascendant of the Chart and again Mars is placed in the Yama Sign who is the 7th and the 12th Lord and aspects the Day Lord in the 8th house . These Planetary positions are most malefic and Venomous for the start of the Elections in the Country. The Karna Lord Mercury is Fallen in the sign Aquarius and with Venus the Lagna Lord and both placed in the 10th house and the Lord of the sign is Saturn placed in the 8th house and Saturn aspects this conjunction. The Dispositors of Sun Jupiter and Moon Mercury are under acute affliction. I dont want to write any thing more here. I have been mentioning that the planetary positions are not conducive in the present scenario , but Modi may come in power but with lot of stifes and struggles with good mandate. Direction Critical Is South East As per the Yama chart. I will write more once the Elections start and the Exact time is Known. 1.The Day is again Thursday and the Lord is Jupiter and Placed in the 6th house in the sign Scorpio Retrograde and Fallen in most afflicted condition.For Dual sign Jupiter becomes a first class marak if afflicted being the 7th Lord as Bhadak, Marak and having Kendradhipatidosh. 2.Since Jupiter is afflicted badly the Day is not auspicious one. 3.Jupiter is placed in the Yama of Taurus the 12th house of the chart where the Ascendant Lord Mercury is placed with Sun is very good forming a Budhaditya yoga shows success of the Ruling party with a score not as expected. 4.The Yama Lord of Jupiter is Venus also placed in the 11th house of Gains is also suggesting that the Party in Position to win the elections. 6. At the time of the Start of the elections on the 11th April 2019 Mars acquired an important dimension and was placed in the ascendant as the 7th and the 12th Lord , here he is again Placed in the Lagna as the 3rd and the 6th Lord . 12. The Karna Lord is Mars and ill placed with 10th Lord Jupiter is most malefic. Karna Lord is not connected to 10th Lord and in 6/8 axis with 10th Lord is like a Shirt Stiched of size 36 for a Person who needs 40 size. 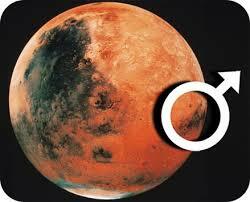 Mars is Most Malefic in Both the Charts and owns the Malefic houses . Placed in the Lagna also gives strength to fight is ok but Malefics in the 7th house also show long battle . Hence from the above we can say that although the Ruling Party is stronger than the Opposition there may be Tug of War and Ultimately Narendra Modi may Be declared the winner with Majority after the 15th June 2019. The 2 Days 11th April and 23rd May 2019 are not Auspicious for the Elections 2019 and seems there can also be untoward happenings since Mars in the Ascendant is not good and aspects the 8th house on both the days . At thetime of the Results Mars will also be in Rohini Nakshatra deemed to be most malefic as per our previous experiences .